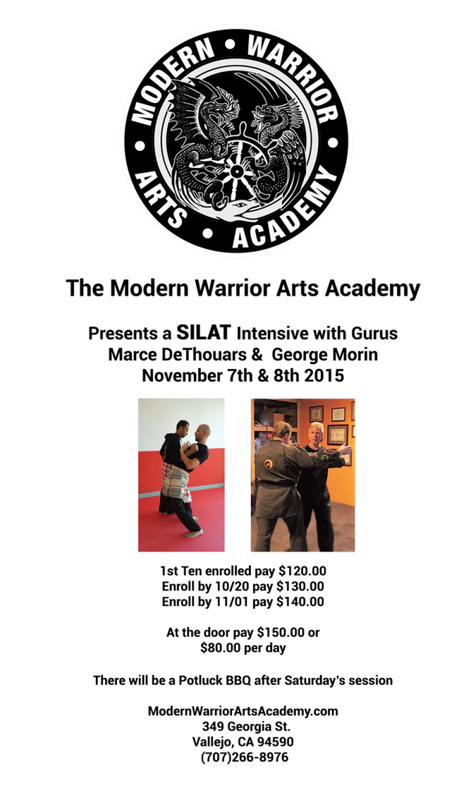 The Modern Warrior Arts Academy presents a SILAT Intensive with Gurus Marce DeThouars & George Morin November 7th and 8th, 2015. These are all day workshops 9am – 5pm. At the door pay $150 or $80 per day. There will be a potluck BBQ after Saturday’s session.